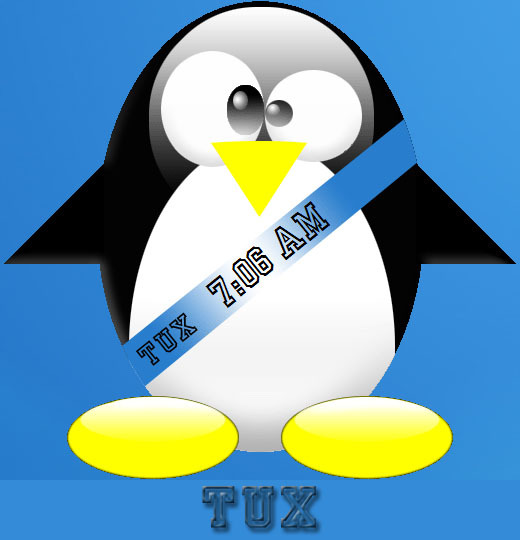 A beatnik skin for Linux lovers, Mr. Tux with a clock around his body. Font included in the zip file. Please feel free to comment.